(NewsUSA) - Teaching teens to drive can be a hair-raising experience for any parent. And while driver's education classes can help focus kids' attention on the rules of the road and basic etiquette while behind the wheel, they need to put their education into action on the road. Consider this: A recent survey of U.S. teens conducted by Michelin North America in seven major U.S. cities reveals that 42 percent are driving with unsafe tire tread, and 40 percent are driving with improper tire pressure. Two in five (43 percent) have never checked their tire tread depth, while one in three (32 percent) have never checked tire pressure. However, the majority of teen drivers agree that they should check their tire pressure and tire tread more often. "The fact that car crashes remain the No. 1 killer of our teens is a national tragedy," said Scott Clark, chairman and president of Michelin North America. "Many teens say they know the simple steps that make their tires safe, but too few are actually using their knowledge. It's time to move our teen drivers from awareness to lifesaving action." To further educate young drivers about tire safety and encourage them to check their car tires, Michelin, in partnership with the Federation Internationale de l'Automobile (FIA), is expanding its Beyond the Driving Test program with the #StreetTreadContest. 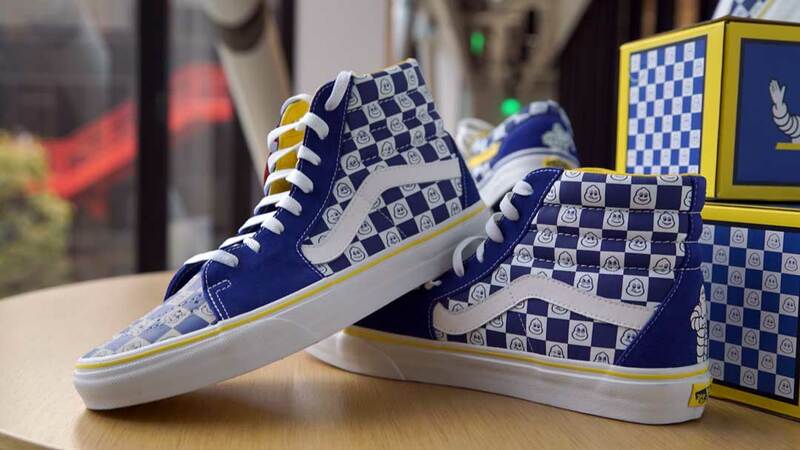 At the core of the contest is a collaboration with youth culture brand Vans, who worked with Michelin to design limited edition versions of Vans Classic SK8-Hi and Old Skool shoes. To acquire one of the limited-edition, Michelin-inspired Vans, teens must prove their street tread by sharing a photo showing that they know how to check a tire's tread depth using a penny and/or know how to check tire pressure, using the hashtag #StreetTreadContest. "Any time I have the opportunity to encourage youth to develop their knowledge and improve their safety, I want to get involved," said Steve Van Doren, son of Vans' cofounder and vice president of events and promotions. "Using the iconic Michelin Man on our classic styles that are built on top of rubber will be a fun way to inspire tire safety and drive teens to take action." To learn about critical tire safety checks and how to enter the #StreetTreadContest for a pair of limited-edition Vans, visit www.BeyondtheDrivingTest.com/StreetTread.